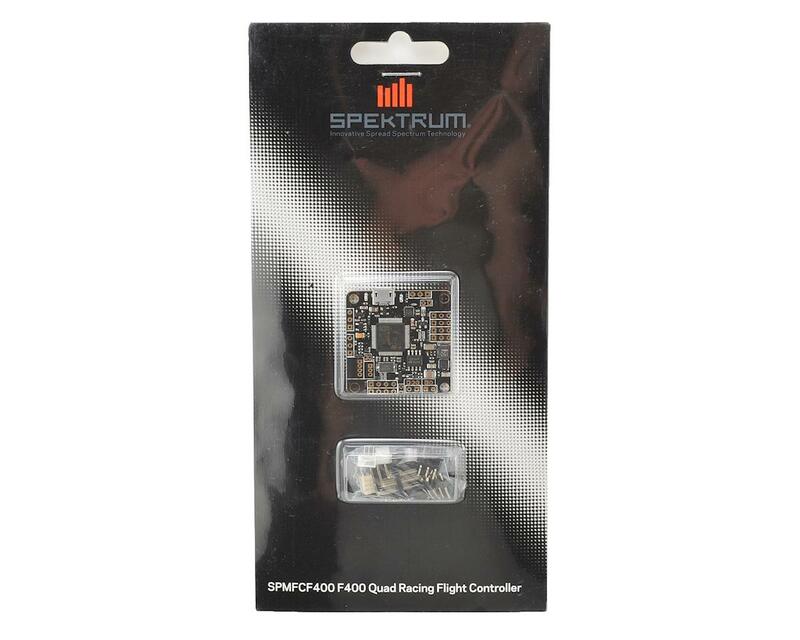 The Spektrum F400 Raceflight Flight Controller combines a state of the art F4 processor with proprietary Raceflight One firmware to bring you cutting edge FPV racing performance. Featuring an integrated 5v regulator, pilots will no longer worry about providing regulated power to your flight controller. 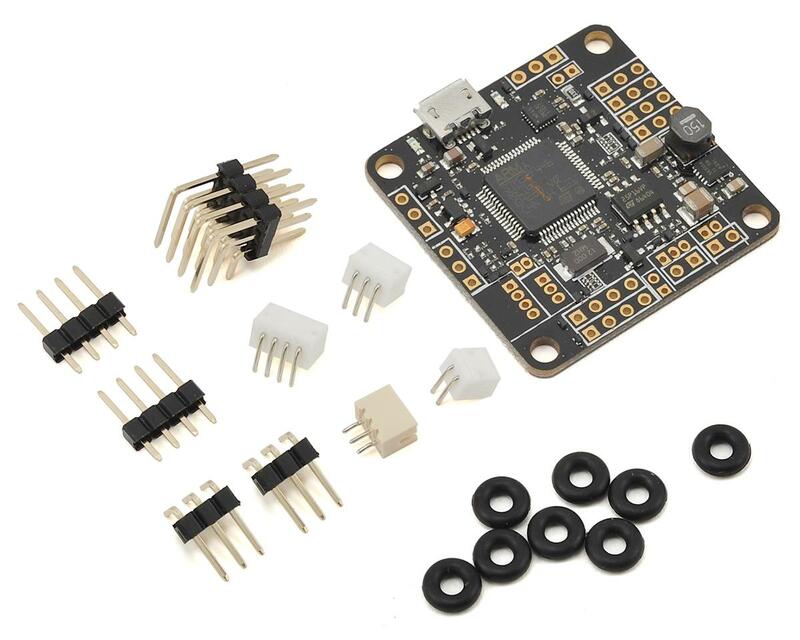 The Spektrum F400 flight controller makes wiring the receiver simple by only needing one connection for power, signal, and telemetry information. Pair it with a SPM4649T Serial Telemetry receiver and the pilot can feed all available telemetry data to their Spektrum radio transmitter. The processer in the Spektrum F400 is capable of a lighting fast 180MHz update speed; giving the pilot uncompromised speed, precision, and power. Connect the F400 Raceflight Flight Controller with a 32KHz capable ESC for optimal performance.